So, our favourite turf accountant has added an online casino feather to their cap, at long last. William Hill has long been a favourite of mine, having been taking my horse racing bets for longer than I care to reveal. 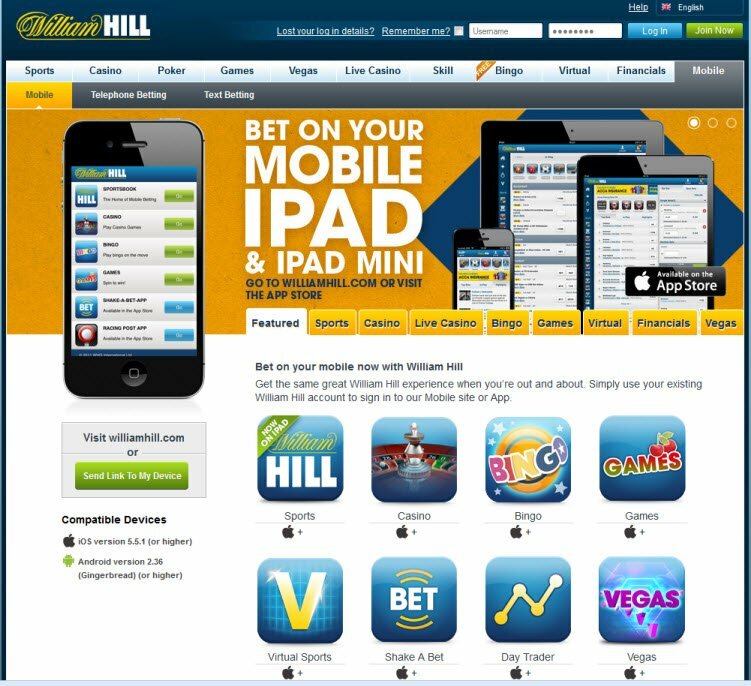 In October 2008 William Hill applied their specialist knowledge and branched out into online casinos. The time to enter the William Hill Casino review is upon us. Let's see if they can keep up their trend of making me a winner. The menu is new and has been tuned to be easy to use and intuitive. 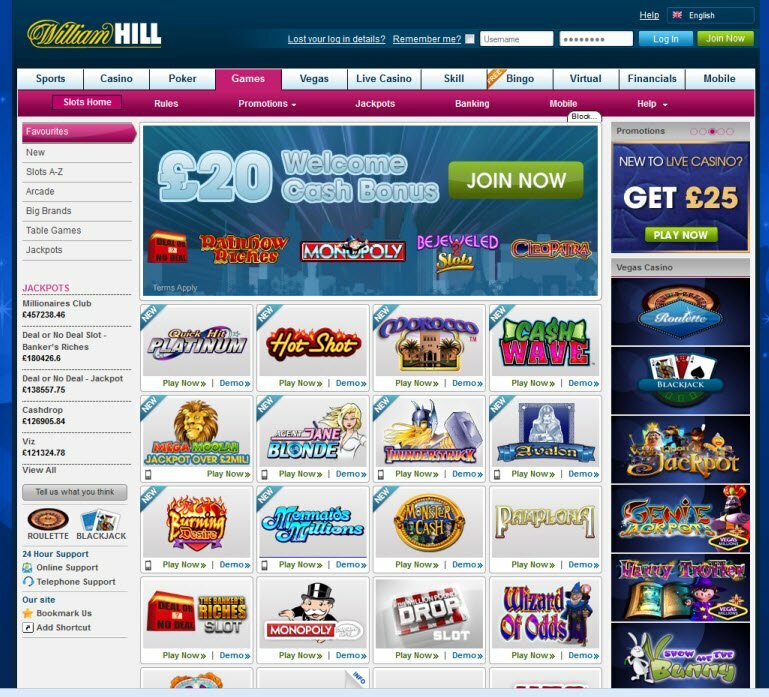 The lobby is improved and the quality and ease of playing at William Hill Casino is on a par with the fun, betting atmosphere they create in their bookmakers shops. All that's missing are the free, blue pens. They have an instant play version for those who do not like to wait for downloads. I initially liked the pop-ups giving me information and tips on how to best play the games on offer but, would have appreciated the ability to switch them off at some point, especially as they only popped up for the table and card games. They are useful if you're looking into playing new versions of old favourite casino table and card games. The jackpot games are nicely animated and the music score is reminisce of the movies. The interactive bullseye feature in the Daredevil slot game is a real treat and you can win up to three times your bet if you meet the right target! William Hill Casino Jackpots can reach big figures, so if you hit one of them, you'll be in for a real William Hill Casino bonus! There is 24/7 online support and telephone support, in addition to emails, which are fast becoming quite an old fashioned method of communication. 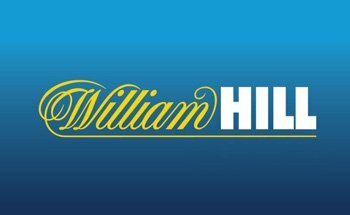 Staff are knowledgeable about the William Hill Casino and familiar with any issues you may be having. They'll get you on track and playing within no time. I was extremely interested to read about the fact that this casino was founded in 1934 by William Hill himself. Really goes a long way back! This is a great casino for new players. The welcome bonus returns 200% of your deposit!